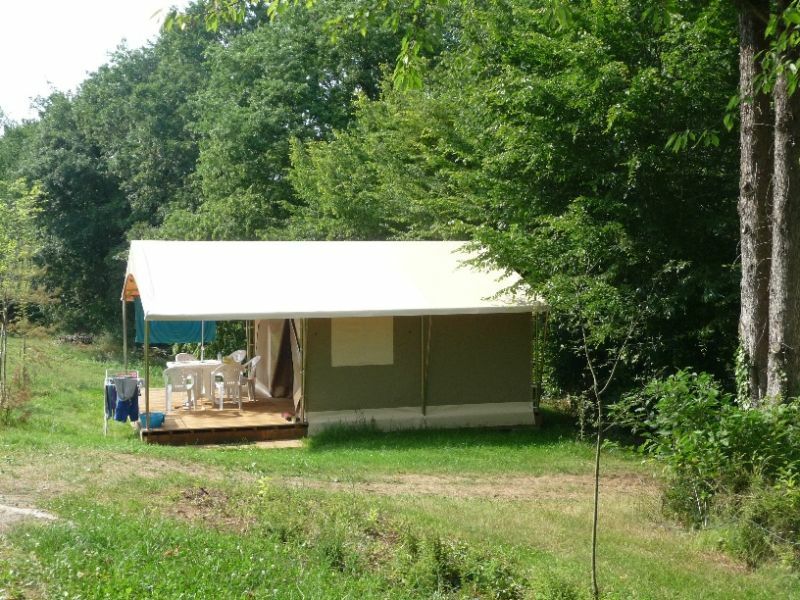 The Dordogne has a landscape and a perfectly adapted environment for camping. 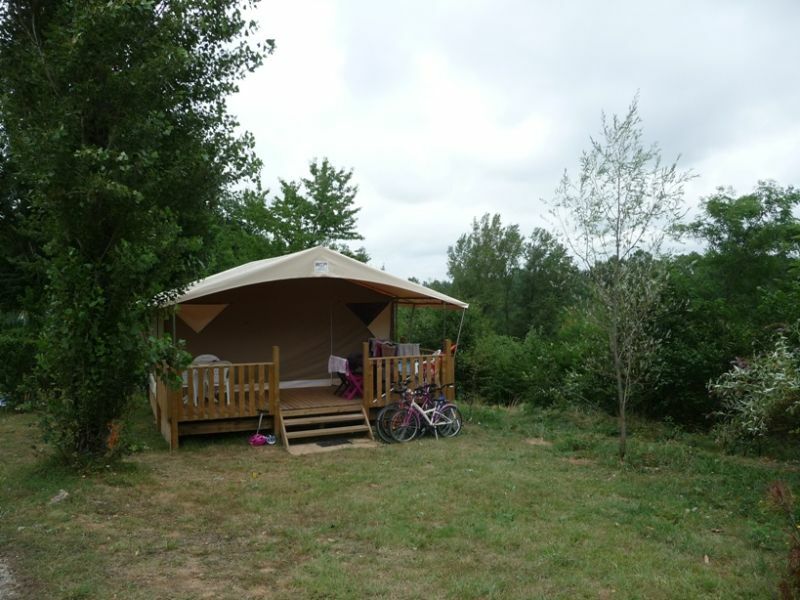 Our campsite, located at the top of the hill, a few steps from the caves of Lascaux is a convivial place bringing together the campers of all horizons. The pitches at your disposal are spacious and well defined. They are also ventilated and shaded. Camper is not always obvious when you have a small vehicle or children and you have to have a lot of equipment. 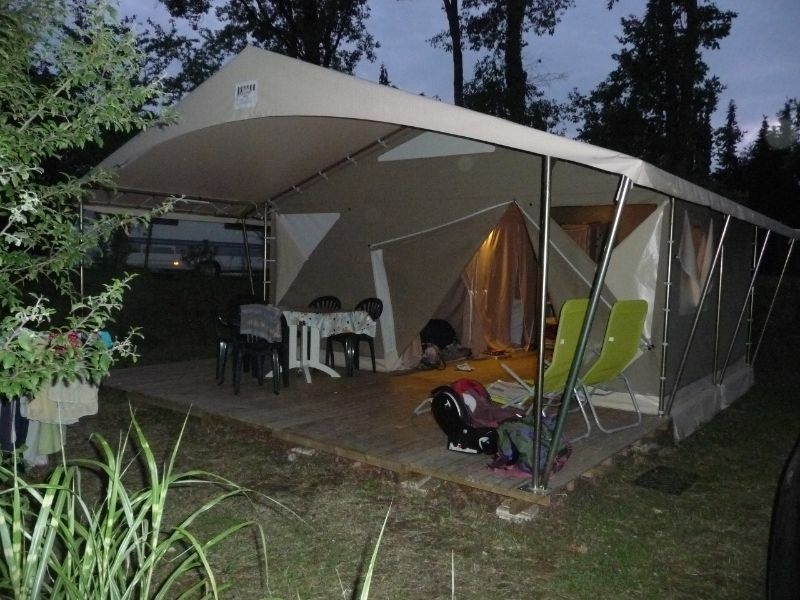 That is why, the campsite puts to rent new tents lodges for 5 people. 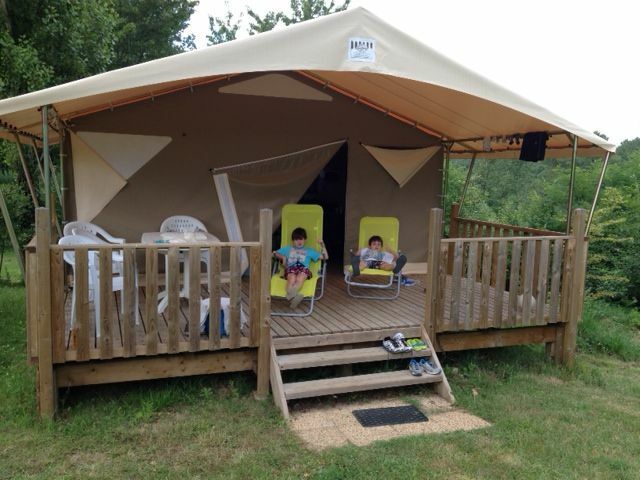 This year, the team of our family camping 4 stars, thought of all the lovers of the campsite! As of next season, you will be able to test our newly installed “canada” tents. 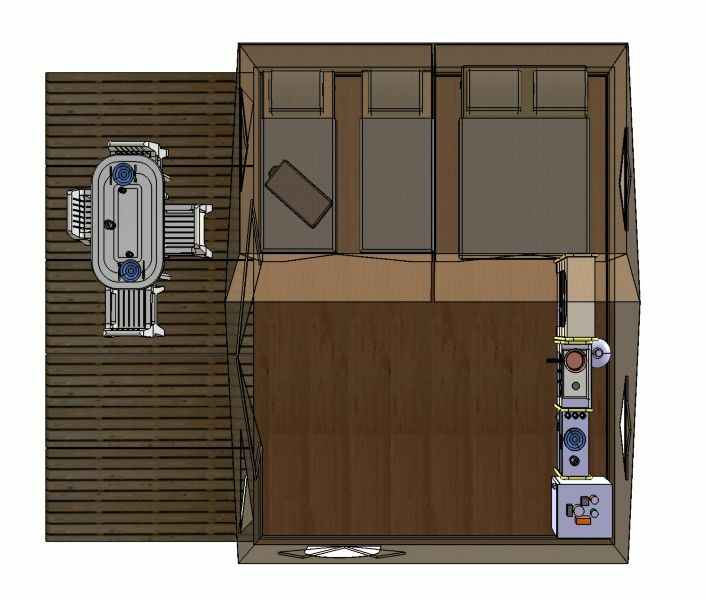 New design more natural, for our 3 new lodges, canvas and wood! 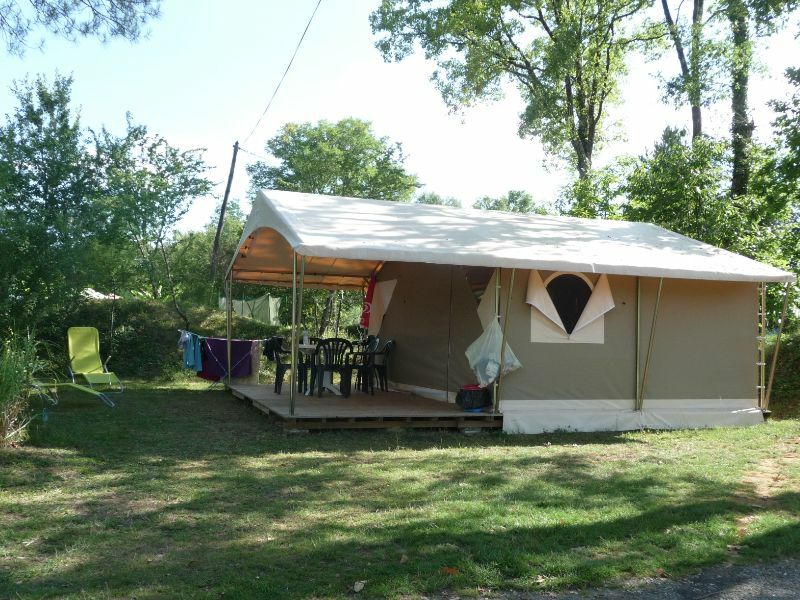 With its pleasant open living space on a large wooden deck, our tents offer you all the comfort to camp and a layout designed for a successful holiday. 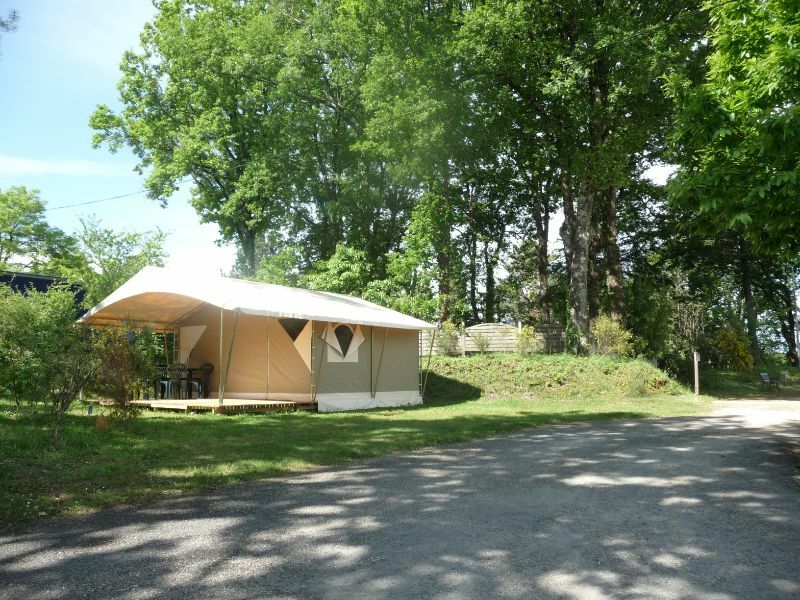 Large and spacious, these Canvas & Wood “Canada” tents, with a surface area of 20 m², can accommodate up to 5 people. Enjoy a spacious living space, high ceiling open onto the covered terrace. 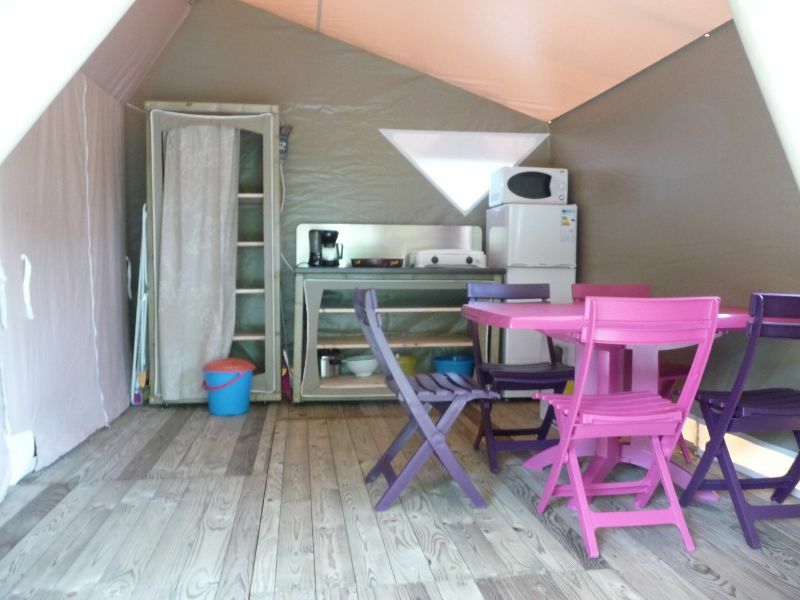 The kitchen area ideally designed and the 2 bedrooms will complete this beautiful lodge tent. 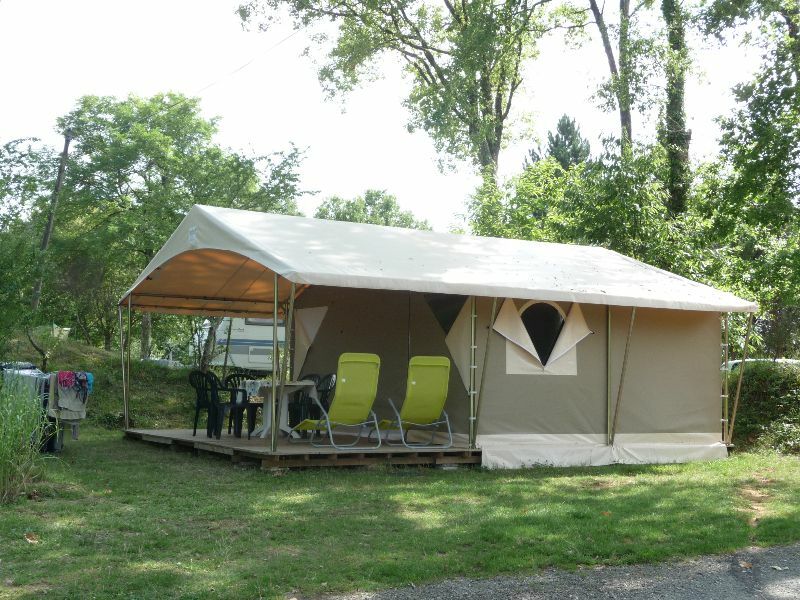 The advantage of renting our tents is that you no longer have to worry about the safe storage of your vehicle. No need to load in mattresses, inflaters, blankets, kitchen equipment, tables and chairs … Everything is on-site and waiting for you.